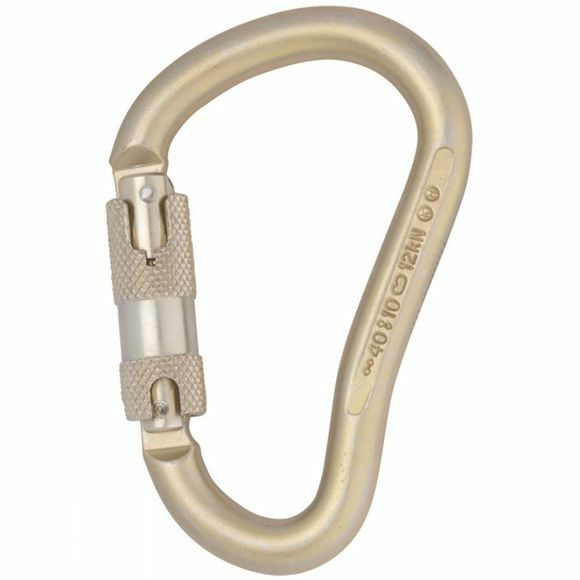 The 12mm Steel Boa KwikLock ANSI from DMM is a great option if durability and strength are more important than saving weight and makes a perfect belaying/rigging biner. Incredibly strong this Boa has a whopping 40kN closed gate strength and a generous gate opening and large internal volume ensures it can accomodate multiple knots and is easy to handle when it's cold and you are wearing gloves. Another advantage comes from the smooth 12mm bar, this allows easy rotation in attachment eyes for your convenience.